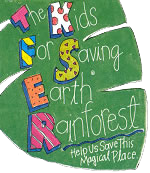 Click here to see our step by step directions on how to start a Kids for Saving Earth Club. Click here to view letters from Defenders of the Planet! The Reading for the Earth Challenge!! Print out “Defender of the Planet” Certificates to give as awards for good Earth Works!! !